Need to rent out your house or flat? Make sure you go about it the right way! 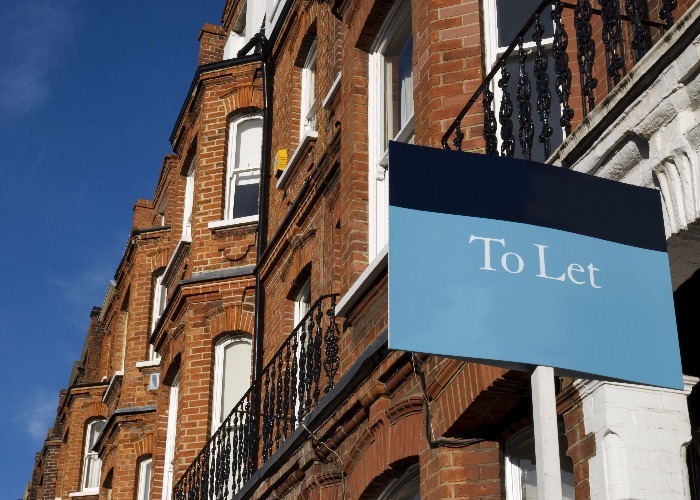 If you're thinking of renting out your home in the short-term you should try and get 'consent to let' from your mortgage provider on your current residential deal rather than switching to a buy-to-let mortgage. That’s because rates on residential mortgage deals are much lower than buy-to-let ones. Read Rent out your home as a buy-to-let for more details. Some lenders — such as Nationwide — will allow you to stay on your current residential mortgage deal for as long as it lasts (although it will hike your rate if you rent out your home for more than a few months). So your mortgage payments should be much cheaper in the short term than if you were a professional landlord. And you won't need to prove the rent can meet the mortgage payments, as you would with a buy-to-let mortgage. Of course some lenders are less flexible. Halifax, for example says it will look at the matter on a case-by-case basis but if it agrees you may have to transfer onto another product from a range specifically for the purpose of letting. To avoid this risk, you may be tempted not to tell your lender you are renting out the property. Unfortunately, you’re legally obliged to do so. You must ask for a 'consent to let' - if you do not inform them, you are in breach of the conditions of your mortgage contract, according to the Council of Mortgage Lenders, which claims lenders are "very likely to charge you retrospectively a higher rate of interest". Granted it certainly would be difficult for a lender to know whether or not you are living in the property — but the fact remains, it is illegal not to inform your lender. It’s also absolutely vital that you inform your buildings and contents insurance provider if you are thinking of letting your property out. Otherwise any loss or damage caused by the tenant to your property or to others' property may not be covered. You normally have to pay Capital Gains Tax (CGT) when you sell your home if you let all or part of it out. Bear in mind that the 2016/17 CGT remains at 18% for basic rate taxpayers or 28% for higher rate taxpayers for property sales — even though they have fallen for other types of capital gains. You will need to work out what proportion of the gain relates to the letting to work out how much CGT is due. You may also be able to reduce the CGT bill by claiming Letting Relief (this is the lower of the gain related to the letting, the amount of private residence relief you are getting or £40,000) and making use of your usual CGT Allowance (£11,100 for this tax year). 1. Figure out the difference between the price you bought the property for and the price you sell it for. That is the overall gain. 2. Work out the proportion of time you have let it, in relation to the amount of time you have owned the property. Then divide the overall gain appropriately. For example, let’s say you bought a property that was worth £100,000 that is now worth £320,000 – a £220,000 gain. You have owned the property in your sole name for 20 years of which you lived in it as your main residence for 12 years and let it for the final eight years. For the final 18 months it was let, the property was still classed as your private residence — so you can subtract these 18 months from the eight years you have let it. That means, for tax purposes, you have actually only let the property for six and a half years out of the total 20 years you have owned it, which proportionally is 32.5% of the time. So of the £220,000 gain your Private Residence Relief is £148,500 – which is tax-free, while the £71,500 remaining of the gain is subject to CGT. You can’t get more Letting Relief than Private Residence Relief, but that wouldn't be tha case in this scenario so the full £40,000 can be applied. There’s also the CGT Allowance (£11,100). After these two reliefs are applied that leaves a gain of £20,400. For a basic rate taxpayer with an 18% CGT rate that would mean a CGT bill of £3,672 on a £220,000 gain. For more examples head to the Gov.uk website page: Relief if you let out your home. What's more, you wouldn't need to pay any CGT at all, if you could prove to HMRC that you couldn't occupy the property for any reason (for example, if you got a job abroad or in another part of the country). There are complicated rules if you rent or buy another property, however, as you can only have one private residence at a time. You should seek the services of a chartered accountant. Of course, there are drawbacks. Renting out a property instead of selling it will not be the best strategy for everyone. You don't need to sell your current home in order to put down a deposit on your new home. The money you receive in rent will cover the mortgage payments on at least one of the properties you will own; or you have enough surplus income to cover any shortfall. Remember that you will have to pay Income Tax on your rental income at whatever rate you currently pay, and that you will need to be able to pay for repairs on the property, as well as keep up the mortgage payments when the property is empty between tenants. Find out whether you need a House In Multiple Occupation licence. Still, despite all the hassle and drawbacks, if you are struggling to sell your home right now, you could find renting it out privately instead is just the solution you were looking for.